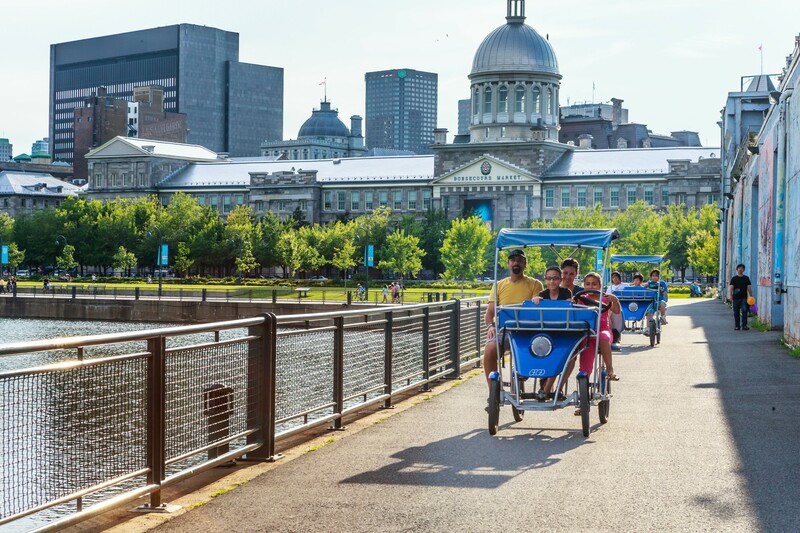 An original way to discover the Old Port! 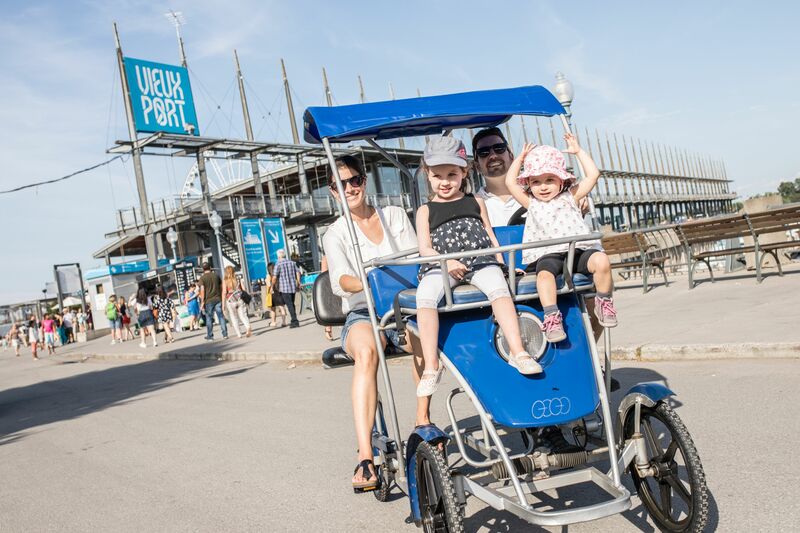 Inspired by the great European cities, these multi-place vehicules allow you to visit the Old Port of Montreal in a dynamic way. 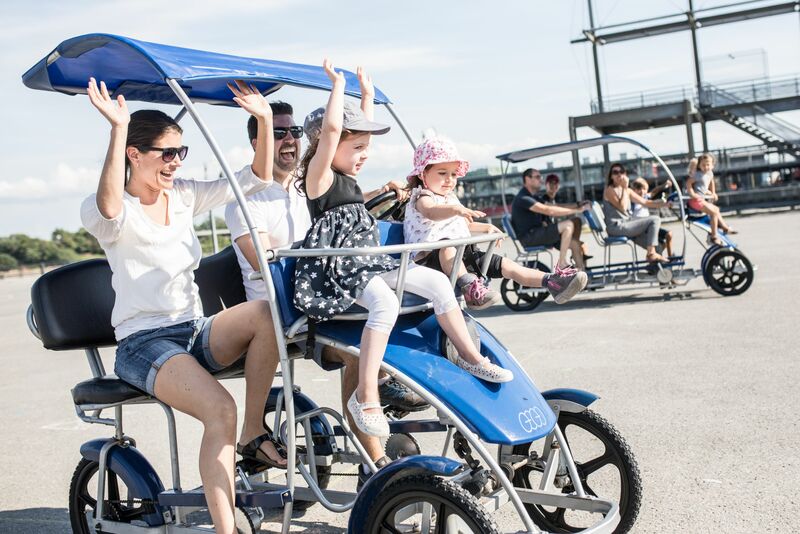 Whether you are looking for an activity to do with family or friends, you are guaranteed to have a good time aboard one of our quadricycles of 3 or 6 places. 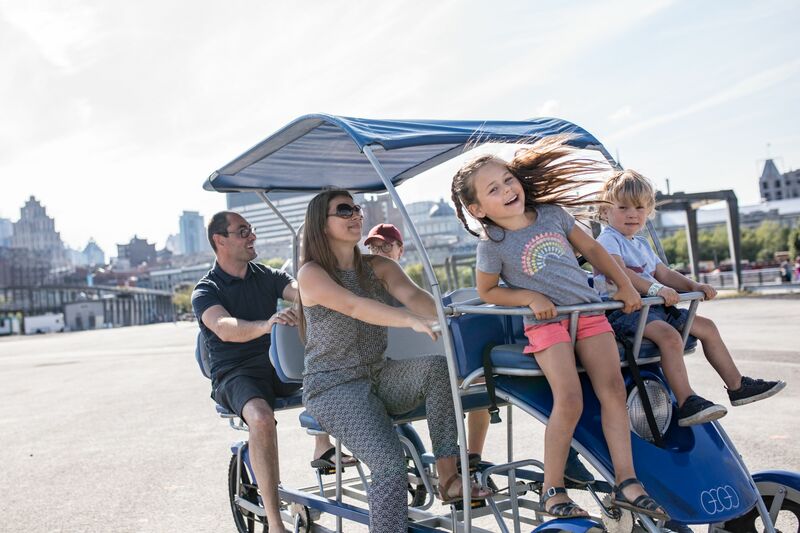 What better way to visit the Old Port! Combine and save! Add $15* for a 30 minutes pedal boat ride.